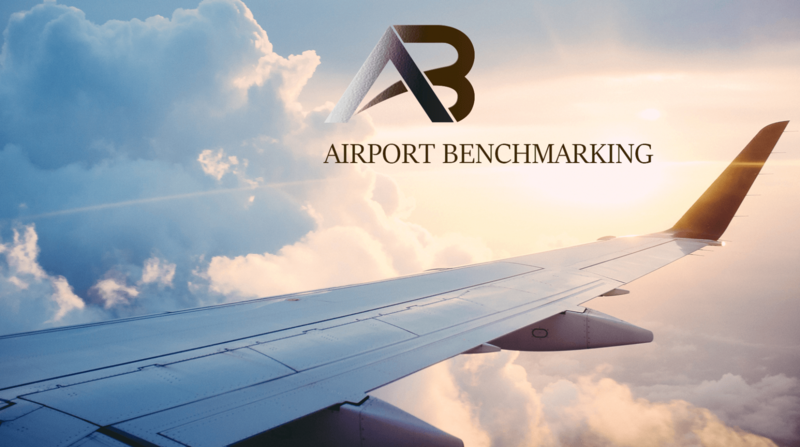 Airport Benchmarking - Page 2 of 121 - Which new technologies will your airport choose? Ontario International Airport is on the rise in Southern California! This premier location boosts easy access to the Los Angeles Metroplex without the craziness of LAX. Nestled perfectly between major theme parks, major cities and major coastline, ONT is the solution to all of your Southern California travel woes. This animated piece shows off the highlights of the airport with fun, bright and easy to follow graphics. No more mixing up Ontario, California with it’s Canadian counterpart. This video sets ONT apart from competitors both near and far. So get acquainted with this soon to be powerhouse airport! A digital twin is the virtual replica of a physical asset. Formula 1 teams use digital twins to track exactly what’s happening throughout the car as it goes around the circuit. They can also make changes to the digital twin to see how the car will react, which is faster, and cheaper, than making changes to the actual car. Clearly an F1 car is very complex but it isn’t as complex as an airport. 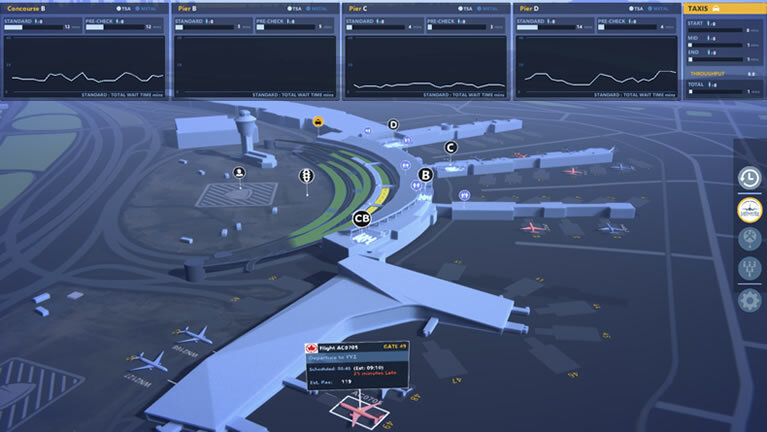 And the latest SITA Lab project is to build digital twins of airports. Information about everything that happens at an airport is largely available in the more advanced control centers. However, because the various elements are collected and presented independently, it can be difficult to see the overall picture, and how all the elements interact. It can also be hard to generate a historical view to review how the airport previously handled disruption caused by bad weather, for example. Our concept is to create the operations control interface of the future, using digital twins to bring together everything that’s happening. It covers arriving and departing aircraft, the number of passengers involved, queue wait times, escalator operations, passenger satisfaction with restrooms, traffic flows at drop-off and pick-up and much more. What was siloed information is now all presented in one place. We are testing it at a major East coast US airport where the 3D interface is on an 86-inch touch-screen in the operations room. The result is improved decision-making, based on the holistic view of the airport operations. As well as showing what’s happening now, we can also select a moment in history and play back exactly what happened in the past. It’s a very effective way of investigating the handling of disruption, to identify what can be done better next time. The next stage, which we’re working on now, is to build in a view of what is going to happen. By feeding in flight information, weather data and other operational information we can use the digital twin to predict what will happen at the airport next. As an example, you would be able to see that three wide-bodied aircraft will be landing at the same time because two of them were delayed causing unanticipated congestion. By shifting their gates, you can stagger passengers’ arrival at passport control or you can deploy more resources and open up more border control gates. You can arrange your ground handling resources to alleviate delays at baggage collection. And you can arrange all this before the planes have even landed. Our goal is for digital twin technology to start making recommendations based on what the data shows will happen. The airport can then set its own rules about how those recommendations are actioned. Some will be handled automatically. When dissatisfied feedback from a restroom passes a set threshold, a cleaner can be dispatched, for example. Other decisions will always need human input, particularly during times of heavy disruption. However, the recommendations made by digital twin technology will help inform that decision-making. And the technology will learn which recommendations are typically accepted and suggest a new rule to make the process even more efficient. A fully-functioning productized digital twin of an airport is still some time off. But as we build it out more widely and deeply, the full extent of its potential is becoming clear. UK Airprox Board says that drones are putting airport operations on risks. Credit: AdityaChinchure on Unsplash. A report published by the UK Airprox Board (UKAB) has warned that illegal drone intrusions in airport airspace have increased by more than a third in 2018, putting aircraft and passengers’ lives at risk. The UKAB recorded 125 dangerous nearby encounters of drones with aircraft in 2018, a sharp rise from 93 and 71 violations recorded in 2017 and 2016, respectively. UKAB, which investigates drone-related incidents, said that 39 of these encounters were recorded at London’s Heathrow Airport. Manchester Airport witnessed 10 incidents last year. The British Airline Pilots’ Association (BALPA) flight safety head Rob Hunter was quoted by the Financial Times as saying the rise was “incredibly concerning”. Hunter further added: “A drone coming into contact with an airliner or helicopter could prove disastrous. Hunter told the publication that the actual number of drone sightings at all airports in 2018 could be much higher than 125. In January, Heathrow temporarily halted all departing flights as a safety measure after a drone was spotted flying near the airfield. A similar drone sighting incident at Gatwick Airport in December 2018 led to the closure of the airport for nearly 36 hours. During the busy Christmas period, at least 100 flights were cancelled that affected around 110,000 passengers. After the Gatwick and Heathrow incidents, the UK Government enacted a law that increased drone exclusion zones around airports to a maximum of 5km, from the previous 1km. 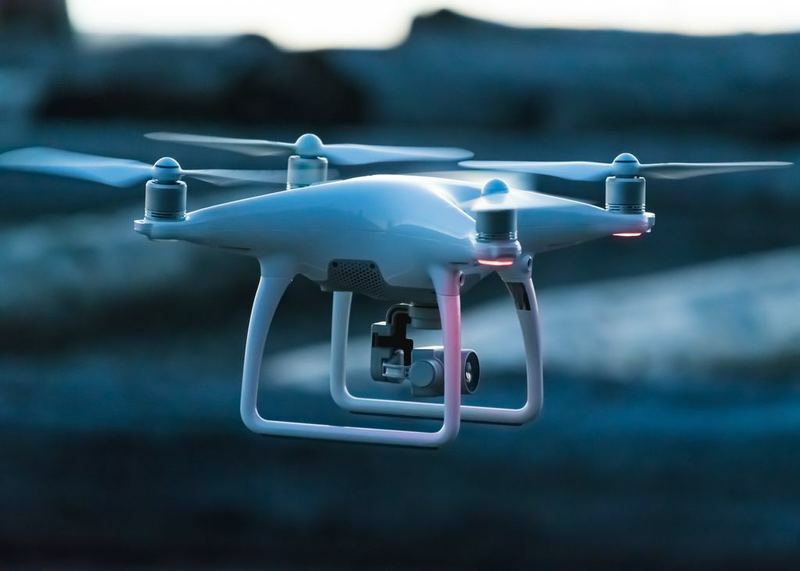 The government and the Civil Aviation Authority (CAA) also said that operators will have to obtain a permit before flying any drones in the restricted area and those violating this will now face a prison sentence of up to five years.